I used to think alfalfa was just for my house rabbits. I didn't realize the benefits that alfalfa has for people, specifically when they are grown as sprouts. 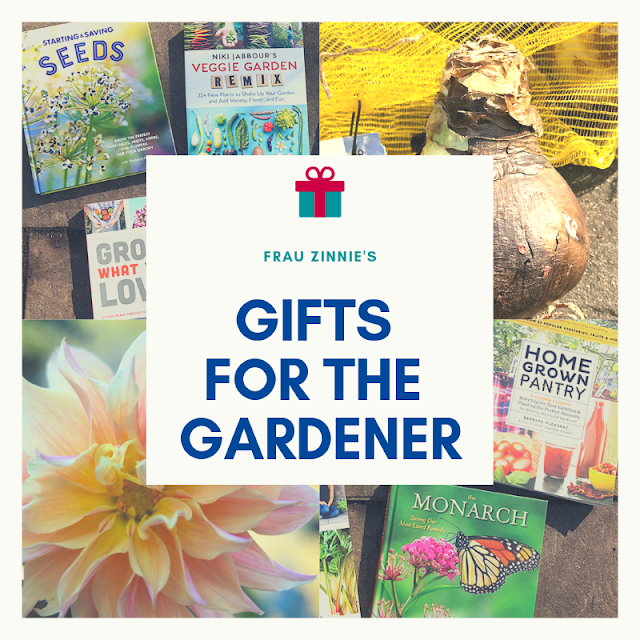 Sprouts are just when the seed begins to turn into a plant, and they are full of nutrients! 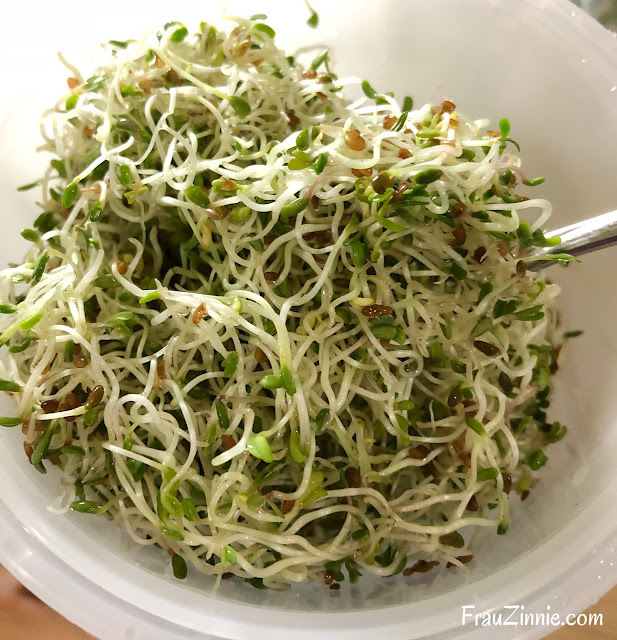 A 3.5-ounce serving of alfalfa sprouts contains 38 percent of the Vitamin K your body needs daily (Vitamin K helps your body absorb calcium). They also contain 9 percent each of the daily recommended intake of copper, folate and manganese. And they also contain 14 percent of the daily requirement for Vitamin C as well. 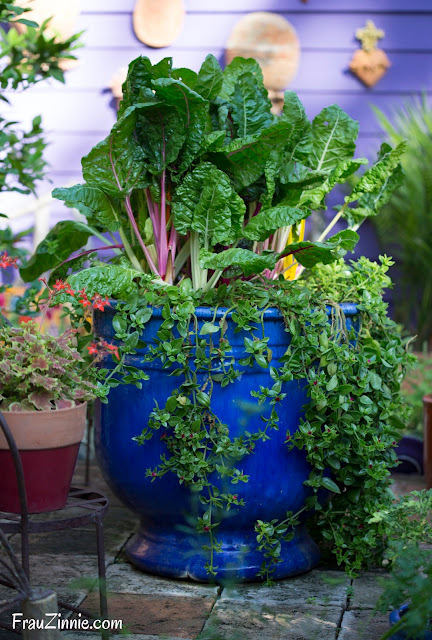 So how can you grow this powerhouse of nutrients on your own? It turns out it's very easy. Before this past October, I had never grown sprouts on my own. I was always worried that I would do it wrong and somehow ruin the end result. But earlier this fall, Park Seed sent me a complimentary seed sprouter called the Easy Sprout* for me to try out, along with a package of alfalfa seeds. It was now or never. And lucky for me, it turns out the Easy Sprout was really simple to use: It consists of two containers to grow sprouts. One is an inner chamber (with drainage) that holds the seeds, and can be inserted into the outer chamber, which holds the water. There is also a lid that can go on top. Adding water to the seeds for soaking. 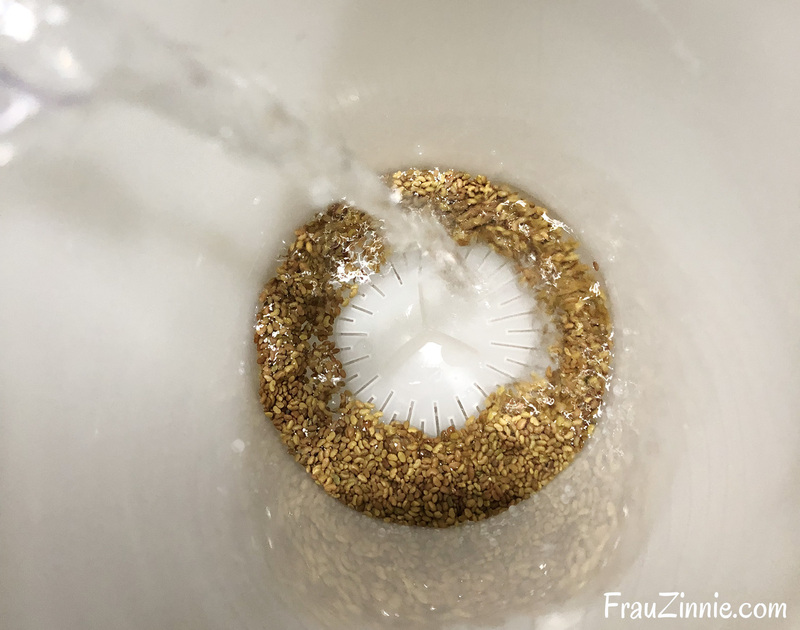 Once the seeds were inside the inner chamber, I inserted it into the outer chamber with the 1 cup of water and let it soak for 8 hours (basically overnight). The next morning, I lifted the inner chamber out (which drained the seeds) and then I rinsed the seeds under running water. 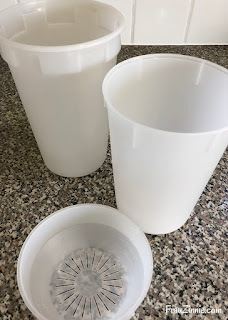 To make sure the seeds were not sitting in excess water, I held the inner chamber over the sink and spun it in a circular motion. This helped get excess water out of the container. I then put the inner chamber back inside the larger one to let the sprouts sit for another 12 hours. This time I let the inner chamber sit slightly higher by balancing it on the outer chamber's plastic "lip". I kept my Easy Sprout on the kitchen counter, so it not only received light from the windows but also some light from my grow light fixture. The seeds sprouted very quickly. By the second day, I already had seeds sprouting! I set a timer on my phone to alert me when it was time to rinse and spin my sprouts, and each time I checked on them, I was surprised how quickly they were growing. I felt so silly that I was afraid to try growing sprouts for so long — especially since this container made it foolproof and entertaining. As they grew, the sprouts began to fill the container vertically, and I started to use a fork to break up the clumps before I gave them their spin. By Saturday morning, the sprouts had gotten to be roughly 2-3 inches in length so I gave them a final rinse and spin and then packaged them up for storage in my refrigerator (for up to three days). 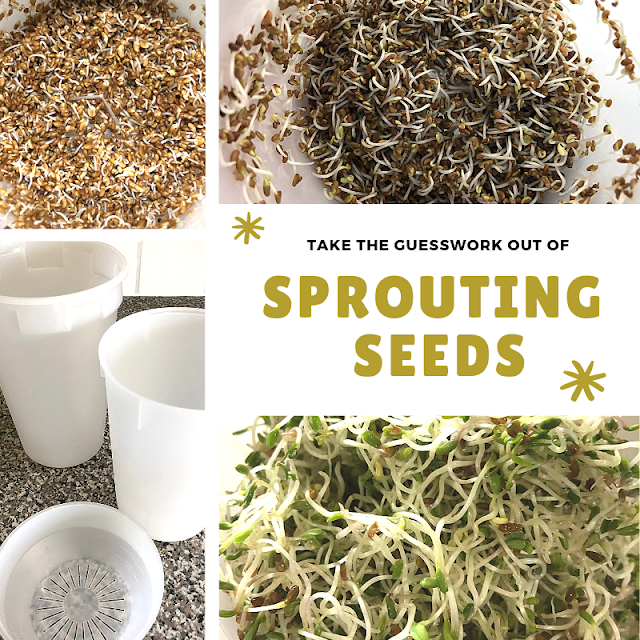 Now that I've figured out the (not-so-complicated) process of growing my own sprouts, I'm going to explore different seed varieties to try sprouting in the Easy Sprout. 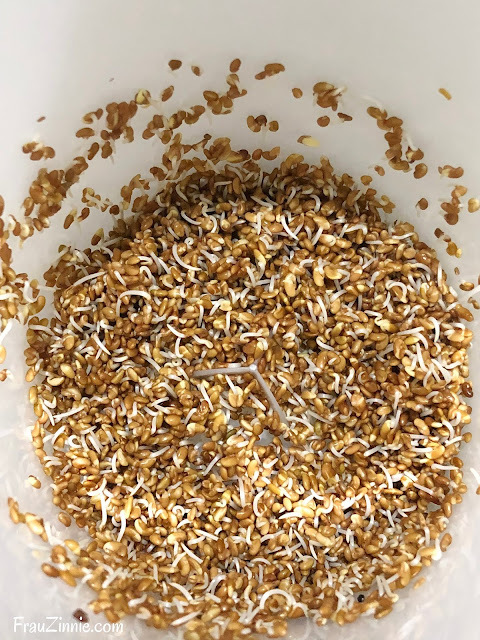 One important thing to keep in mind: When buying any seeds for sprouting, make sure they come from a reputable company and are marked for sprouting purposes. *Park Seed provided me with a sample Easy Sprout and alfalfa seeds for review purposes. 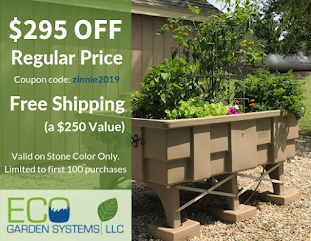 To learn more about the Easy Sprout, click here. To learn more about Park Seed's alfalfa sprouts, click here.